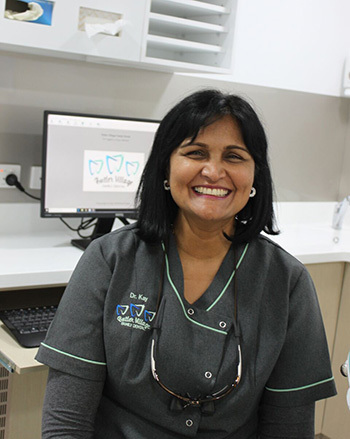 Dr Kay Naicker was educated in South Africa. She graduated with the Bachelor of Dental Science degree in 1988 at the University of the Witwatersrand in Johannesburg. 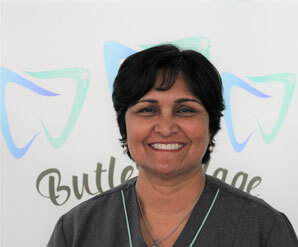 From 1988 up to 2006 she owned and successfully managed two dental practices in Johannesburg and Pretoria. 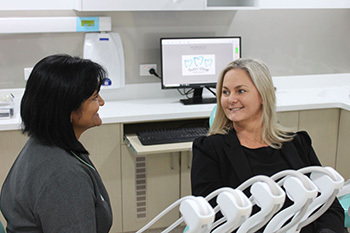 After moving to Perth in 2006 she became a Tutor at the Oral Health Centre of Western Australia. She attained the Australian Dental Council examination in 2008. Since then she has been in private practice in Perth's Northern suburbs. 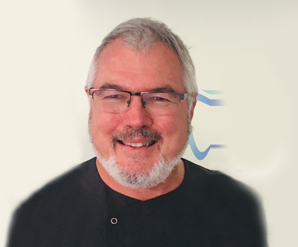 Dr Kay is an experienced, gentle caring dentist. 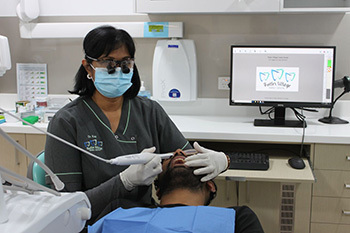 She is very good at making the patient's experience pain free and pleasant. She is patient and enjoys working with adults and children. 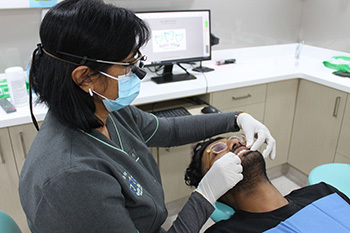 She actively attends dental courses and regularly updates her knowledge and clinical skills. Her focus is on making the entire consultation a happy experience. She is married to a medical practitioner and has three sons. She enjoys gardening and the outdoors, taking long walks with her dog. She is very involved in her son's cricket activities and has been an avid supporter.